(Purple Heart Recipient) Army Sgt. Joel Tavera is one of those truly remarkable people who, if you spend even a few minutes talking to him, any problems you think you have fade away. 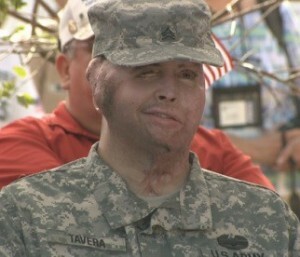 Tavera was horrifically injured in Iraq on March 12, 2008, in an attack that killed three others and wounded Tavera and another soldier. 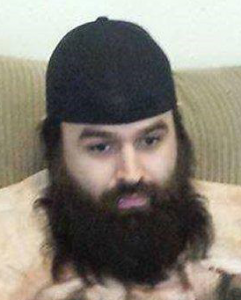 Tavera, who was volunteering for a mission shortly before he was supposed to head home, remembers a rocket exploding near his up-armored Chevy Suburban. Then came a panic attack. He opened the door. Then came the whistle – the sound of another rocket, heading straight for the Suburban. He was severely burned, had traumatic brain injury, lost part of his right leg, the sight in both his eyes, the fingers on his left hand and had to undergo many painful surgeries. Fast forward a few years. Hillsborough County Fire Rescue’s Kelly Hallman heard that Tavera needed a home. When not fighting fires, is an architect and, among other things, designs houses. So, working with the Building Homes for Heroes, a non-profit that supports the needs of severely wounded or disabled veterans and their families through building mortgage-free homes, Hallman designed a home for someone who couldn’t walk and needed full-time nursing. Hallman tells a funny story about what happened when Tavera learned of the plans. His response as he walked up to Hallman with a prosthetic on his right leg speaks volumes for a recovery that can only be considered miraculous. “He said, ‘Get that out of my house,’” Hallman says of Tavera’s response to being told of plans for wheelchair access, a nursing station and a therapy room . “I don’t need that.’ I said, ‘You are right, you don’t need that,’ and I took it out.” Joel continues to be a strong role model in showing people that they can move forward and make a difference regardless of their setbacks. 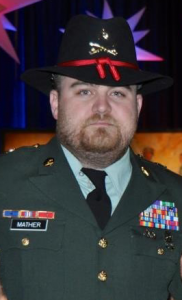 (Purple Heart Recipient) Raised in both Maine and Texas Matthew Pennington entered into military service at the age of seventeen, He had a robust career full of responsibility and leadership roles. Then at the age of twenty three he was struck down by an ambush IED team in Iraq. Losing his left leg and receiving severe damage to his right he was honorably retired and received the Purple Heart and the state of Maine Silver Star among various others. Matthew has starred in a short film “A Marines Guide to Fishing”. It is story that portrays an injured veteran’s transition back into the work place as well as coping with his loss one year later on his alive day. Previously to acting Matthew has given a speech for veteran’s day in the town of La Plata, Maryland as well as campaign videos for Senator Susan Collins. 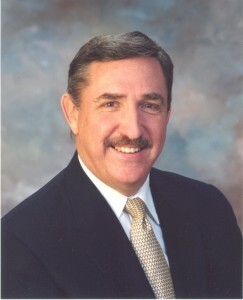 He has served on a panel for Secretary of Defense Gates at Walter Reed and received many of other types of recognition for his service to America. Matthew has worked alongside director Nick Brennan and Marjorie Pennington to perform screenings of “Marines Guide to Fishing” to raise donations for charitable organizations serving veteran’s. It was creating these environments of entertainment and education that led him to further his speaking career as a Keynote Speaker for the Brain Injury Alliance, Joining Forces, various Military-Civilian conferences and Universities. Matthew has built a program that was endorsed by Congressman Mike Michaud and it has been replicated by the Vet Center’s located within Maine and has been reported to have great success. Currently Matthew is a part-time National Spokesman/Field Associate for the Coalition to Salute America’s Heroes, it is a job he believes in and also one that allows him to witness and hear about the positive impact made in the lives of the combat wounded. Matthew has been married to his wife Marjorie Pennington for 11 years and looks forward to a life full of giving to and assisting those in need. (Purple Heart Recipient) I enlisted in the military June 1, 2007 at the age 19 years old, I did my Basic training at fort Jackson South Carolina, upon completion of Basic I attend 88M course in Fort Leonard Wood, Missouri. My first duty station was at fort Polk, Louisiana were I was assigned to 5th aviation unit were I was assigned to the post command sergeant major aide, during my stay with 5th aviation I was sent and completed my Airborne school and my RIP school for pre-ranger course, I also got to level 3 of combative and being certified, after of doing a few years of 88M I crossed trained and went to combat engineering school were I learned about explosives and dealing and finding objects in the ground and above, i also was stationed in fort brag with 1st brigade and also with my last unit with 4th/brigade 10 mountain. I deployed twice in my military career, first was in December of 2007 for 6 months and the next was in September of 2010 for a year, my second deployment was when I gotten Hurt in a IED explosion in the southern Provence of Afghanistan were I fractured 2 of my lumbar Vertebrae’s, and nerve damage, I was later air medevac out of country and back to the states were I was sent to wounded warrior battalion and which I was later medically discharge of the United States Army in February 23,2012, I currently reside in Lubbock, TX and have 4 kids 1, girl and 3 boys. And Married to Ariel Adame who I’ve been with since 2008, one day I hopefully I can get on my feet more stable and take on future in law by any chance, cause I don’t want a stop helping people out in the world and that can be satisfying for me. So whenever I pass a vet by walking and I see they’re wearing something relatable to the military I will drive on and say Airborne. 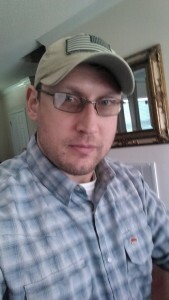 (Purple Heart Recipient) CW3 Russell was born in March 1974 in Ohio and entered the Army in January 1994 as an 11M Mechanized Infantryman. 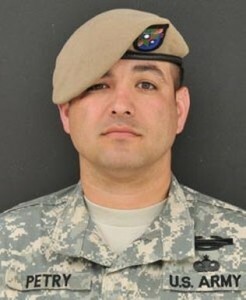 He completed the Special Forces Qualification Course in 1999 and was assigned to the 7th SFG(A) as an 18C SF engineer. 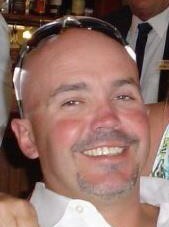 He was assigned to the Special Warfare Center and School as an instructor from late 2003 to 2006. He graduated from the Special Forces Warrant Officer Basic Course in May 2007 and was assigned to the 3d SFG(A). CW3 Russell currently works in the Advanced Skills Company, 3d SFG(A) as the company operations warrant and executive officer. CW3 Russell has deployed in support of peacetime and contingency operations, including six rotations to Afghanistan. 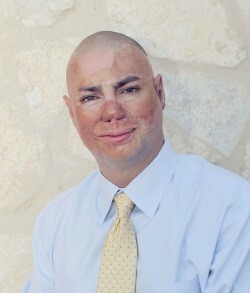 (Wounded in Combat) SSG Robertson joined the USAR in January of 2002 post 9-11 to serve his country in a time of need. 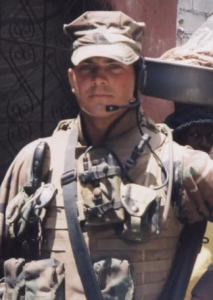 He transitioned to the regular Army in July of 2005 and served as an 11B (Infantryman) for a heavy weapons Company in the 2/502/101st INF AASLT where he served one tour in Iraq. 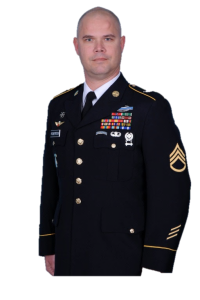 SSG Robertson completed the Special Forces Qualification Course in January, 2010 and was assigned to the 3d SFG(A) as a senior Special Forces Medical Sergeant. He served 1 year in Afghanistan and was awarded the Bronze Service Medal (BSM), Valorous Unit Award (VUA) and BSM(V) for gallantry in combat; treating two friendly personnel while under direct during an L shaped ambush, against overwhelming combatant numbers and firepower. Upon return from Afghanistan SSG Robertson was injured during a motor vehicle versus motorcycle accident. He was struck from behind while at a stop light and thrown 15 feet; receiving multiple physical and TBI related injuries. SSG Robertson has volunteered his time to serve as the unit Victim Advocate (VA) and SHARP counselor and has made great revisions to the medical training of personnel in processing to 3d SFG(A). 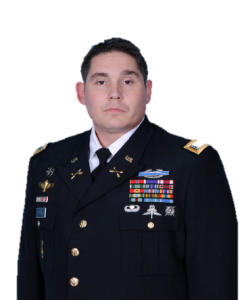 He is a proponent to continuing medical education for the force and is currently completing his Pre Med Requirements and plans to apply to USUHS to continue to provide medical care for the Soldiers, Family members and Veterans of the greatest institution, the United States Military. (Purple Heart Recipient) Sgt Paul Schafer is from New Hampshire and served full time Active Guard Reserves with C co, 3rd/172nd Mountain Infantry Unit for 7 years. He has been deployed to Helmand and Paktia provinces in Afghanistan and was medically retired due to wounds and injuries received during combat operations. (Purple Heart Recipient) SGT Michael Mather served 15 years total to include the two years on Temporary Retirement prior to a full Retirement, 11 deployments around the world to include The Kingdom of Saudi Arabia, Qatar, Kuwait, Iraq, Turkey, and a few other locations, served in the US Air Force for 9 years as an F-15 crew chief, then switching to the Army in 2007 as a Forward Observer, deployed to Iraq for my 11th and final time where he was shot by a Sniper who was 550 meters away, his 5.56mm round struck just below the left corner of his mouth and exited his neck on the left side, he is currently a senior at Xavier University where he is studying to be a Cyber Security Specialist. Mike is and active member in the local MOPH chapter that he started in Clermont County where he brought Chapter 156 from Mt. Healthy to Clermont. He participates in the JROTC graduations at Western Brown High School. He has two children and has been married for 9 years July 2. His duty stations include Texas, Florida, England, California, North Carolina, Oklahoma, New Mexico, Louisiana, and Kentucky/Tennessee, before moving back to Ohio where he grew up. 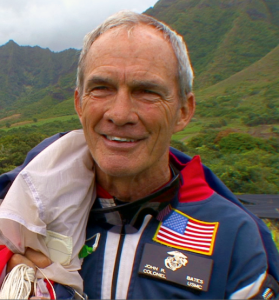 (Three Time – Purple Heart Recipient) Marines Corps Colonel John Bates earned three Purple Hearts in Vietnam, the first after surviving machine-gun fire to the chest. Of the sensation, Colonel Bates says, “It’s like standing over home plate having Mark McGwire wind up and try to hit you out of the ballpark.” The second commendation came after a hand-grenade explosion blasted shrapnel into his leg. “If you’ve ever been hung up in barbed wire, that’s what it’s like,” says Colonel Bates. “Except it’s hot. Very, very hot. A searing heat and you can’t get it out.” Both experiences pale when compared to the time he fell into a pit and his left foot became impaled by a three-foot bamboo stake, the stake smeared with water-buffalo manure to maximize infection. Colonel Bates’ military passion seeped into him through his bloodlines. 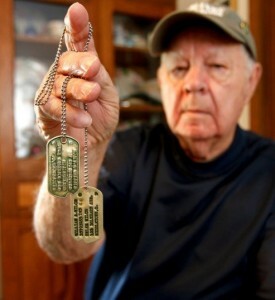 His father, Leland, who died two months ago, flew 51 combat missions during World War II. When the Vietnam War heated up in the mid-1960s, Colonel John Bates enlisted. The machine-gun fire to his chest didn’t deter him. After being hospitalized in intensive care for 23 days, Colonel Bates had been relegated to mopping the hospital floor. “That wasn’t my intention for being in Vietnam,” he said. So he found a pair of boots, pants, a blue hospital gown, walked out of the hospital, hitched a ride to the airfield, caught a helicopter and despite still spitting up blood, rejoined his platoon. “Everyone was glad to see me,” Colonel Bates says. “They needed more trigger-pullers.” Less than two years into his scheduled three-year enlistment, he was discharged because of the injuries he received in combat. In the next seven years Colonel Bates earned a bachelor’s degree and two masters. He worked as a substitute teacher, a railroad brakeman and a heavy-equipment operator. But his real goal was to rejoin the Marines. Knowing he’d have to prove his fitness, Colonel Bates began training intensely. Unbeknownst to his wife, Stephanie, over a 2½-year period he applied for readmission to the Corps at least five times. Finally, he was accepted. “Quite honestly,” Colonel Bates said, “I think I wore them down.” Colonel John Bates has served throughout the world since then, including tours in Kuwait during Desert Storm, and recently in Iraq. (Purple Heart Recipient) Army Sergeant Mary Herrera of the 855th Military Police Company of the Arizona National Guard, was wounded on November 8, 2003 while on a routine mission to Fallujah from Ramadi. Sgt. Herrera the gunner of the lead vehicle was manning an M249 and a MK-19 when her element was ambushed by rifle fire, R.P.G.s, and I.E.D.s. Sgt. Herrera was immediately hit with one AK-47 round on her right bicep but was able to continue suppressing fire until she was hit was a second AK-47 round on her right firearm. 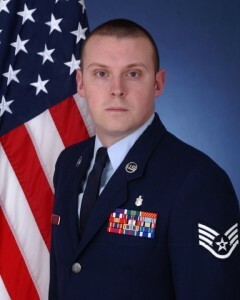 After returning to the United States, Sgt. Herrera was awarded the Purple Heart for wounds received as a result of enemy and hostile action. Mary did not lose her arm due to extraordinary surgical efforts, and she received numerous surgeries, skin grafts and physical therapy at Brooke Army Medical Center in Fort Sam Houston, Texas. 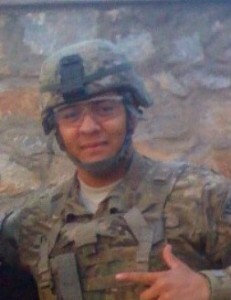 According to Maj. Gen. David Rataczak, of the Arizona National Guard, Herrera is the bravest person he has ever met. He refers to Sgt. Herrera as a true example of a modern citizen-soldier who, despite being small in stature, is motivated, loyal, physically and mentally capable, disciplined and proficient, courageous and always a professional. Due to her story and her example, the state of Arizona has passed a bill that will authorize tuition waiver scholarships to National Guardsmen and women who received a Purple Heart or were medically discharged due to injuries while serving in the military after Sept. 11, 2001. The bill is affectionately known as the Mary Herrera bill. Sgt. 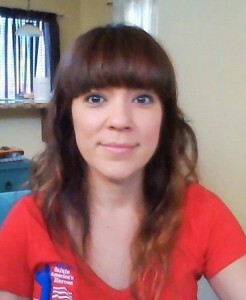 Herrera re-joined the Coalition team in April 2013 as a Field Representative of the West. She resides with her daughter in Arizona and is dedicated to serving her fellow wounded service members through the mission of the Coalition. 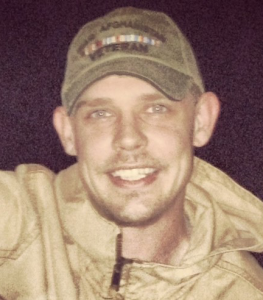 David was a Navy Corpsman who sustained several injuries while on active duty. Once he returned home, he eventually lost one of his legs due to complications from his injuries. He continues to suffer from health issues due to his injuries including severe phantom pains from his amputated leg. David spends his time working to honor our fallen heroes through My Memorial Tattoo. He has added 272 heroes to his tattoo to date. He is in contact with many of the families of the servicemen and women in his tattoo artwork. He does his best to help the families and the battle buddies through their grief, no matter what time or for how long. It has become his way to keep serving his country and the warriors that continue to keep us safe.